An investigation is underway at the University of Florida to determine whether or not former Florida Gators center Maurkice Pouncey (a first-round draft choice of the Pittsburgh Steelers) was paid $100,000 by a representative of an agent between the 2009 Southeastern Conference Championship and 2010 Sugar Bowl. UF reported the information to law enforcement first because the alleged payment may violate the state of Florida’s agent registration laws. Forde speculates that, if Pouncey did indeed accept the payment, Florida may have to vacate its Sugar Bowl victory as he would have been ineligible to participate in the game. It is unknown which agent or agency may have made this alleged payment to Pouncey. He is currently being represented by Joel Segal of Lagardère Unlimited. 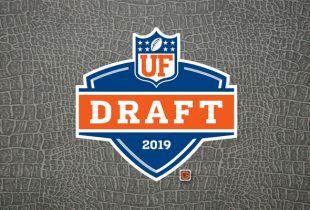 I’m glad to hear that UF appeared to be proactive in this. I suppose not enough information is out right now to really speak on it. Man, Mike is really going to be questioned by the media about this. And it’s going to be hard for him to use the “I didn’t know anything about that” excuse, given the Pouncey’s history of being so close to each other. Is it possible to have 1 off season without all this nonsense. Come on Gators! Hmm… I’m not sure I buy this story though. Pouncey was already a predicted first round draft choice as the best center to come to the NFL in years, and was generally expected to declare early. If memory serves correctly, he and his brother had already stopped rooming together and hanging together less so as to sort of wean themselves off of their super close bond, with the expectation that Maurkice was leaving and Mike was staying. So, knowing all of that… why then? Why offer 100k illegally when in a couple weeks you can offer it legally and why accept it if you are offered it when you know you will shortly have several times that? So neither team gets a win / loss in this instance? I’m not sure what would happen to Cincinnati, but Florida would neither have a win nor a loss. Cause there are almost no reprocussions for taking the money. Pouncey loses his eligibility, so what? The agents are desparate to sign players and make their 3%. And the players want money. I think its easy for us to say just wait a little while but much harder when someone shows up with a briefcase with 100k in it and says here have this now. I would guess that way over 50% of 1st round talent players would take the money. BRL- I agree with you up until your last sentence. Great site……..best Gator info out there…….just registered but been a daily visitor for several months. Keep up the great work……………. Hope it isn’t true, Maurkice knows better. Maybe he just signed a deal early or something. If true I hope the state nails the agent. Joe Schad is twittering that a letter linked to Pouncey is postmarked from Canada. Can you elaborate on the letter? Joe Schad is now reporting that the Pounceys are denying the charges. They will be providing phone records, bank and credit card statements.